When we hear the word repentance one thing comes to our mind and that is asking for forgiveness. Repentance is way more than that, it has to do with the entirety of a person. John the Baptist spent his life calling out to people to repent and be baptized. Repentance comes with cleansing, if anyone must choose to repent, it must affect every area that person’s life and must pray the prayer for repentance and cleansing. Repentance by definition is the act of turning from all sinful, it’s an act which involves change. It is not about asking for forgiveness only, it is about changing yourself, it’s about changing the path you are going. There are things we do that has become part of us, it’s now a habit but they are not good things. An example is hurting someone, you realized you have done a bad thing and you ask for forgiveness. Repentance is different from asking for forgiveness. Asking for forgiveness is a minute part of repentance itself. Repentance starts from the realization of the truth, the mind is opened to the truth and then you find out you have done wrong. It is like a process when you ask for forgiveness, you change your ways – you become a new person. 2 Corinthians 5:17 “Therefore, if anyone is in Christ, he is a new creation; old things have passed away; behold, all things have become new.” This is what repentance is about, it is about change. When we keep on with the habit that is against the plans of God, it affects our faith negatively. Things we ought to do, the right thing, we find it difficult to do. Apostle Paul had a similar experience. Romans 7:15 “For what I am doing, I do not understand. For what I will do, that I do not practice; but what I hate, that I do.” When it has gotten to this, then you should know it is time you have a prayer for repentance and cleansing. Act 3:19 “Repent therefore and be converted, that your sins may be blotted out, so that times of refreshing may come from the presence of the Lord.” Having a refreshing time from the Lord requires prayer for repentance and cleansing. Genuine repentance must come with cleansing. Every time John the Baptist preach the word of repentance and people repent, he back it up with baptism which is a symbol of cleansing. Repentance is important to every man on this earth. If there is any prayer people should pray continuously, it should be the prayer for repentance and cleansing. When you say the prayer for repentance and cleansing you must take actions to repent too and then you will get the benefits of repentance. Dear Lord, I thank you for the grace you have given me to repent. You have promised you will hear me from heaven and grant me my heart desire. I have decided to change my ways, I don’t want to be conformed to the things of this world, I desire a change today. I am repenting from my old ways, I am letting go of my bad behaviors and sinful act, I’m asking you to cleanse me by your blood and let me be clean. Amen. What the Bible says about Satan is that He has not stopped going about looking for whom to devour and the type of people that he can devour are those that are not shielded by a strong wall, or those that are not protected. Sin exposes to danger – there is no safety outside Christ until one repents and come into Christ. 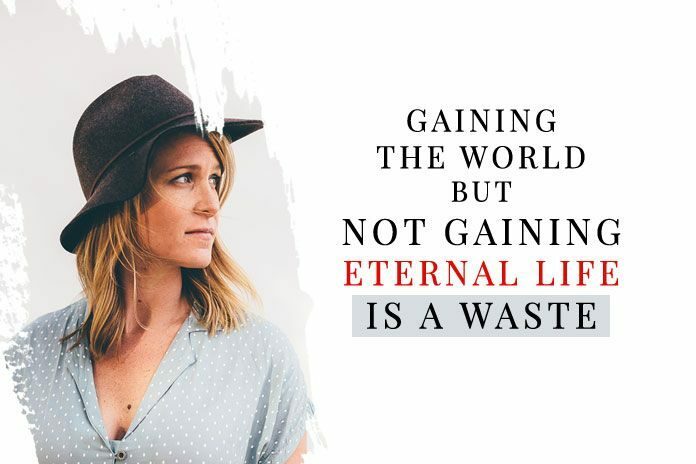 Mark 8:36 “What good is it for someone to gain the whole world, yet forfeit their soul?” Gaining the world and not gaining eternal life is a waste. The path of sin is the path of death, it cannot escape unless one repent genuinely. When you take Jesus into your life, you will not perish anymore. You have been saved from the reward of sin which is death but now, you will have eternal life. Repentance will give you a new life, the way you used to be will be different from what you are now. The old self would be shed off. When you repent from your old ways, it equally means surrendering your life, your plans, and your ways to the Lord. Now, God will be in control of everything, he will direct your path and make your salvation perfect. Your eyes would be opened to some spiritual truths and benefits that you have not been seeing. The spirit of God, the Holy Spirit will descend on you and teach you things.